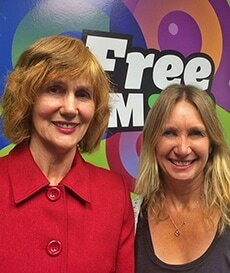 Produced and presented by Sandra and Lynley from Free FM in Hamilton. Safe and Sound is broadcast on Wellington Access Radio every Saturday at 1pm. A show about animal welfare and rights. Sandra and Lynley cover the issues of animal welfare and rights, using music, news updates, guests, panel debates and discussions. The show covers plant-based diet recipes and other issues related to our use of animals, including the environmental impacts of farming. They cover topics including factory farming, dairy farming, animals and the law, duck shooting, using animals in sports and in entertainment such as horse and greyhound racing and rodeos, using animals in experiments, fish farming, chained dogs, puppy mills, breeding animals, using euthanasia as a last resort, keeping birds as pets, how ‘pests’ are dealt with in New Zealand, and much more. And on the show’s name, SAFE refers to advocating for animals to keep them free from harm and also refers to our support of the organization SAFE (Save Animals from Exploitation). SOUND refers to using the airways to discuss animal issues and animal rights, and also to another meaning of the word sound, which is to be true and rigorous.